One of our core services, and something our designers have been taking great care and pride in for the last 7 years. If you can put a design on it, we can create it for you. Paper, plastic, clothing, vehicles, canvass, ceramics, wood and more. Brochure design, logos, company stationery, corporate branding, publicity literature, exhibition materials, large format graphics, point of sale, vehicle livery, stickers, signage , promotional items, leaflets, posters, flyers, company reports, invitations, clothing' and more. 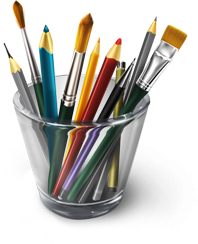 Adobe Photoshop CC, FrontPage, MAdobeFlash CC Professional, Gif Animator, and Illustrator CC Extended all have been used by us. 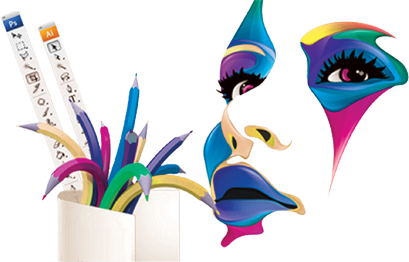 We have team of experts which design websites which are highly functional and appealing.